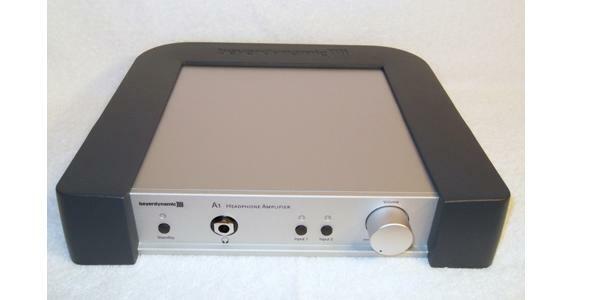 Brand New Beyerdynamic A1 Audiophile Headphone Amplifier on eBay. Please be aware that you must purchase this item within eBay and then pay for it through PayPal only. I cannot complete this transaction outside of eBay. The auction is starting at $614 (with free shipping). The retail price is $850. http://feedback.ebay.com/ws/eBayISAPI.dll?ViewFeedback2&userid=give_this_book_a_home&&sspagename=VIP:feedback&ftab=FeedbackAsSeller I am eBay ID verified and PayPal verified. Please http://contact.ebay.com/ws/eBayISAPI.dll?ReturnUserEmail&requested=give_this_book_a_home&frm=3692&iid=-1&de=off&redirect=0 if you have any questions. (My eBay listing has 13 additional high resolution photos). Please refrain from making defamatory statements about my auction. I will relist the auction for the Beyerdynamic A1 on eBay within a week or so. Remember, the transaction must take place within eBay and you must pay by PayPal. eBay offers 100% purchase protections. If anyone is concerned about the authenticity of the headphone amplifier, then I can provide the original receipt. I purchased the headphone amplifier through an authorized beyerdynamic dealer. In addition, I am a bronze powerseller and a top-rated seller on eBay. I have a 100% positive feedback rating. I am ID verified which means that my complete name, address, landline phone #, social security #, bank account, and credit cards have been confirmed by PayPal. You can trust me.